As the CEO of Lendinero, I read numerous business magazines online day to day and month to month. Without a doubt, I believe that Inc Magazine, Forbes, Fast Company, and Entrepreneur Magazine are some of the best to read. As a matter of fact, I had the opportunity to serve as a writer and input my experiences for both Forbes and Entrepreneur magazine. After reading these publications for many years, it was quite an honor to have me featured in both publications. 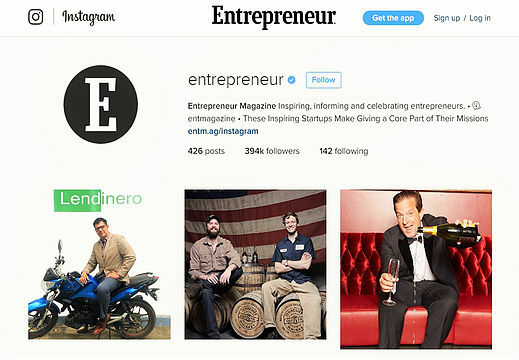 That’s me on Entrepreneur Magazine on their Instagram page.